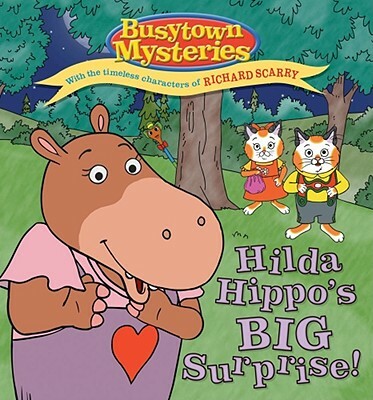 It's a special day in Busytown: It's Hilda Hippo's birthday! She received a really amazing gift from her father, and she invites her friends to meet her at the Busytown Park that evening so she can share her mystery gift with them. What is it? Hilda won't tell! But she does give her friends clues that day… and Huckle figures out what Hilda's mystery gift is. It's an actual star that her father had named after her! Together, the friends find the 'Hilda' star in the night sky and celebrate Hilda's birthday!